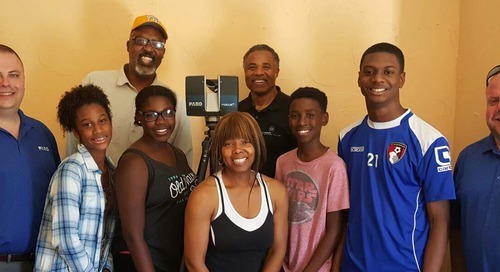 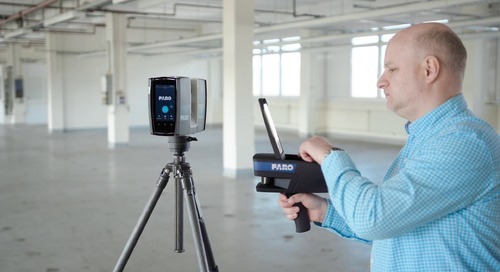 Learn how Colorado Springs Police Department used FARO to capture a large crime scene in less than an hour, provide the measurements needed to document and present findings in a mass shooting case. 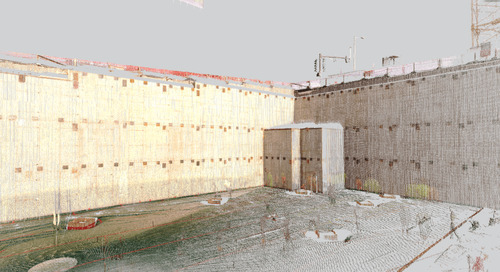 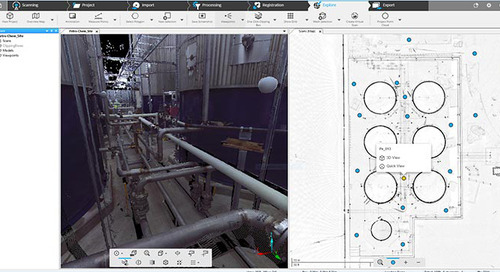 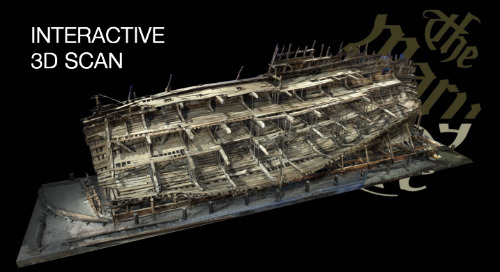 SCENE is an efficient software to process, register and manage scanning projects, generating accurate data views for 3D capture, design, documentation and analysis. 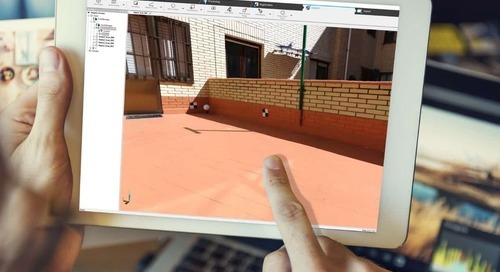 Recover hours in your next project with the new, time-saving features of FARO SCENE 2019 Software. 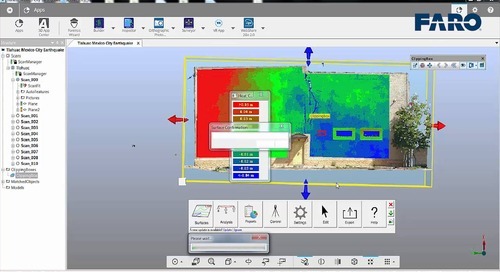 You save time in the field and hours in processing! 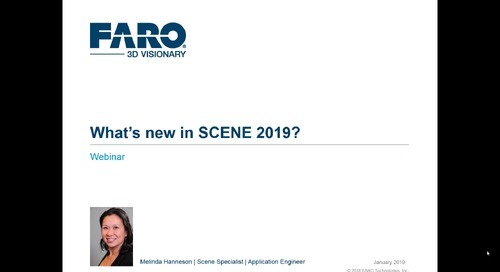 Discover the exciting new features of SCENE 2019. 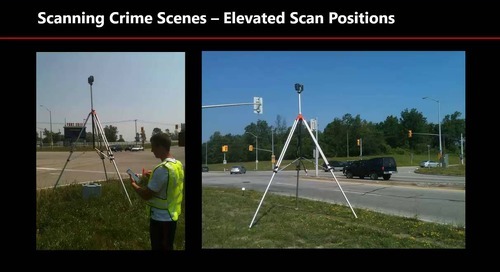 In this webinar, see how SCENE 2019 is designed to accelerate the capture, analysis and documentation experience for public safety - forensics, architecture, engineering and construction markets. 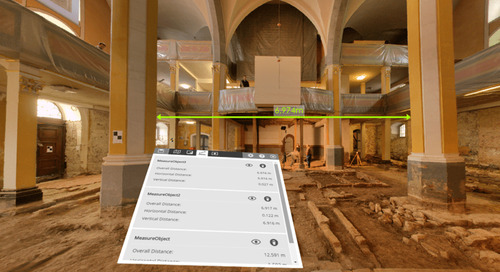 Discover how the fabled Cincinnati Music Hall got a much needed renovation, with precise and detailed scans from the Focus Laser Scanner, creating essential as-built digitized documentation. 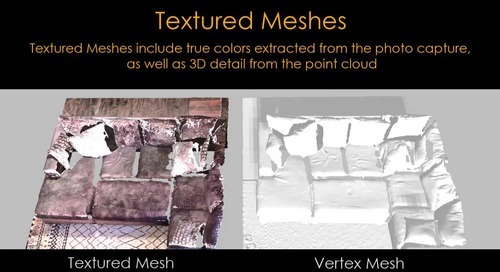 This webinar focuses on the 3D technology used in criminal investigations and how the results are used in court, using real case examples. 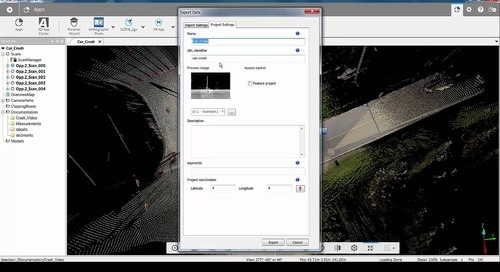 FARO SCENE sales engineer goes through a detailed tutorial video of how to use the FARO SCENE 2go app, demonstrating via a crash scene analysis. 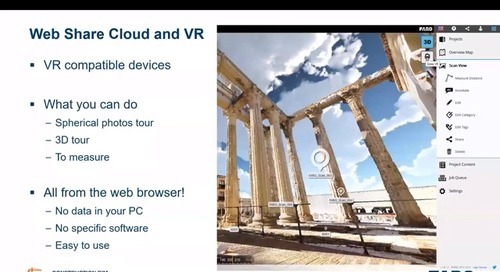 FARO Scene with virtual reality! 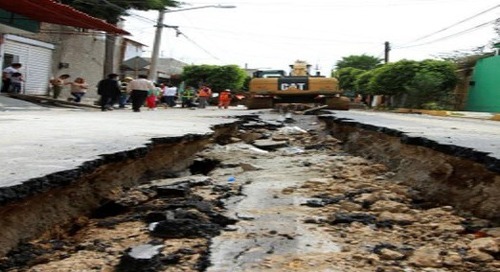 This video shows how Focus Laser Scanners and SCENE software were used to collect and analyze data after an earthquake in Mexico City.